Home » Celebrate » May Day » Happy May Day! It is not too late to celebrate. 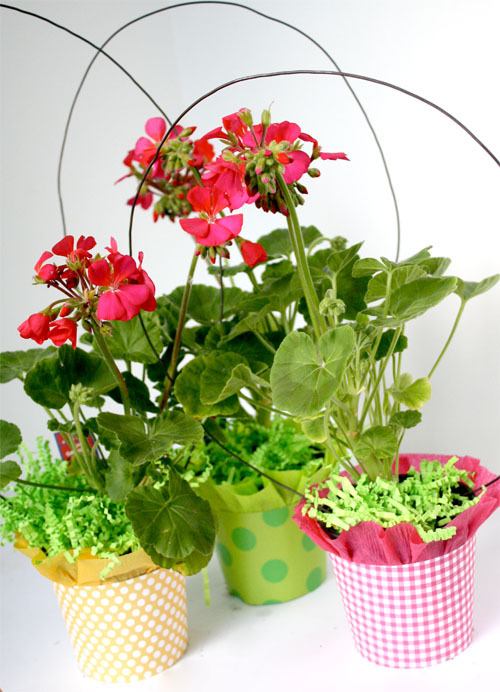 These little wraps will make a last minute May Day Basket! Gather a few supplies and you will be ready to “ding and dash” and spread some May Day cheer. This year we had an early Spring and it seems that my go to May Day flowers have already come and gone. We decided that a small potted garden flower would be the perfect solution. 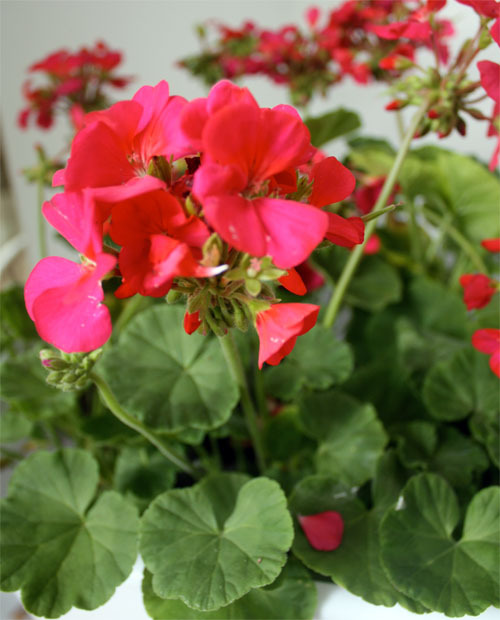 These geraniums are in pots that are 3″ at bottom and 4″ across the top. 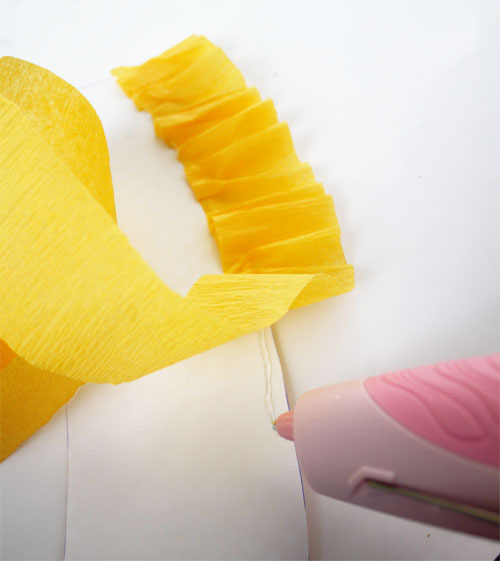 Download template and use it to cut a wrapper from pretty scrap book paper. 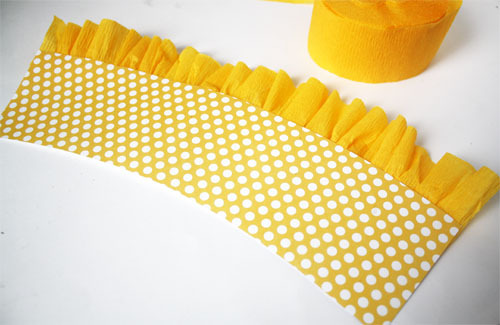 Using a low temp glue gun carefully glue crepe paper across the back of the top edge ruffling crepe paper as you glue. 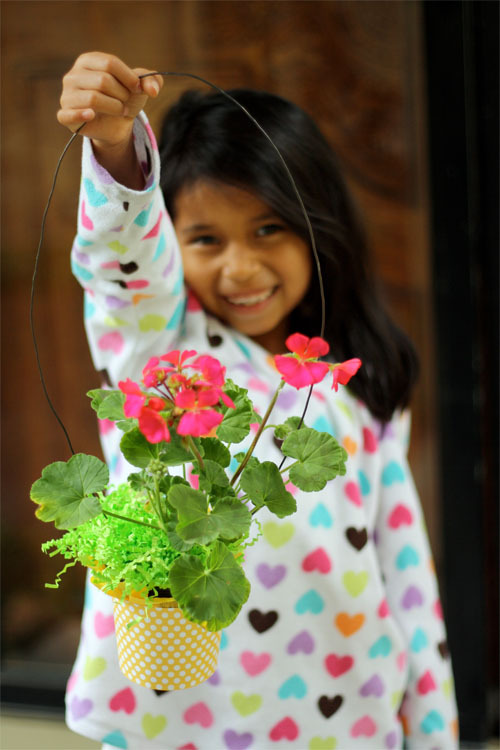 Attach wire to the plastic flower pot by poking it through the side and bending up end. Repeat on other side to make a large handle so it can be hung on a door knob. 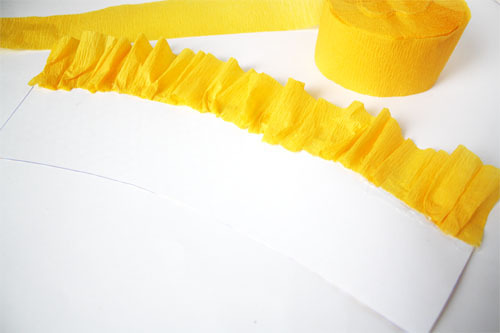 Wrap the paper around the pot and fasten with hot glue or clear packing tape. Attach a little card wishing the recipient a Happy May Day! Quietly sneak up to your friend’s front door, hang the basket, ring the door bell and RUN away! 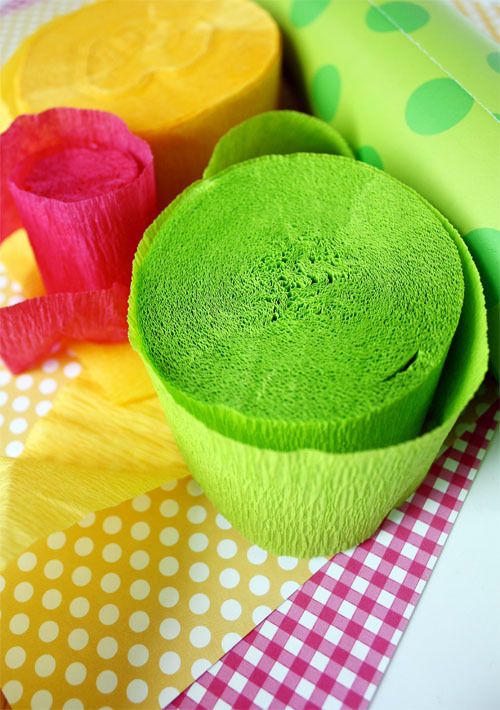 These paper flower pot wraps would dress any potted garden flower and make the perfect Mother’s Day Gift. 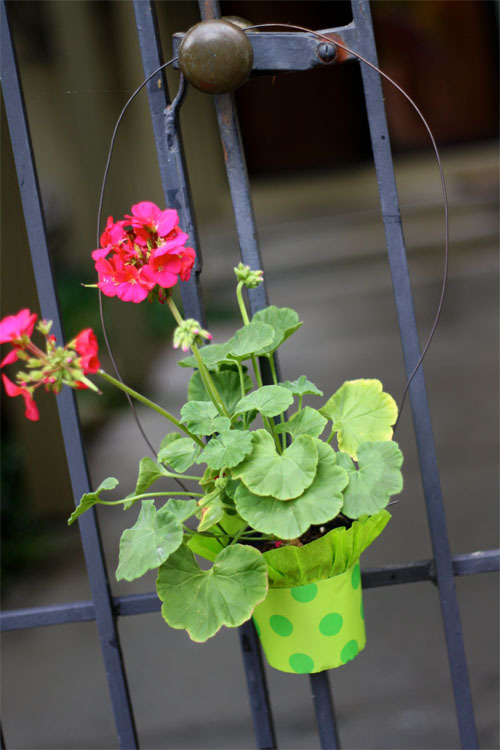 Check out all the fun crafty Mother’s Day gift you can make at Michaels. This is so cute. A nice gift of a plant in a darling wrapper...hanging!!! Such a great idea! Your model is beautiful! 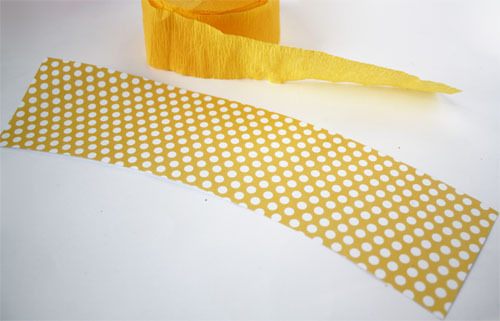 Love May Day and the flower pot wrapper is perfect!